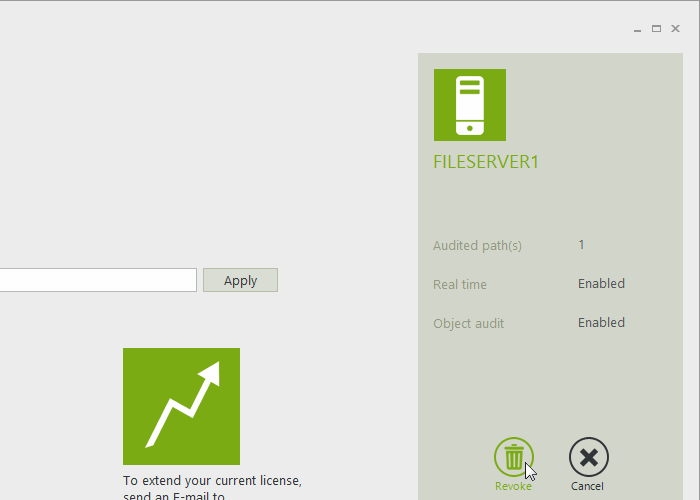 The license section allows you to manage the FileAudit license. To register a FileAudit license, copy-and-paste the FileAudit serial number (found in the e-mail delivery sent from our sales department) into the License key field; click ‘Apply’. The list of licensed computers is displayed in the ‘License computers’ section of the ‘License’ tab. 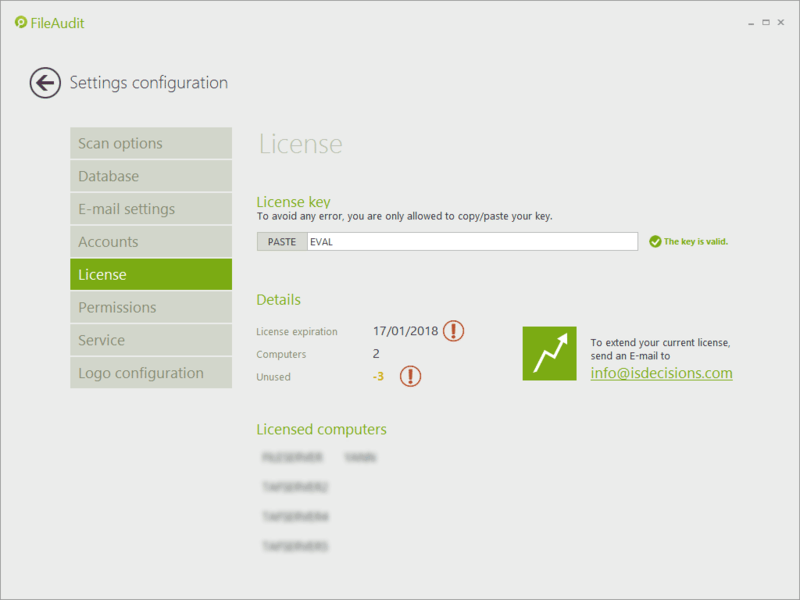 To revoke the license from a server, click its name to open a panel on the right-hand side. Click ‘Revoke’ to remove the license from the server. A popup will provide the warning “If you revoke a server from the FileAudit license, all access events for this server will be definitively delete from the FileAudit database.” Confirm your intention by clicking ‘OK’. Take note that the server will remain in the Audit configuration view. To manually remove it, go to the ‘Audit configuration’ view.